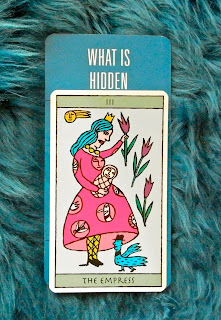 Weekend Reading: The Empress from the Kitty Kahane Tarot in the What is Hidden position from the Deck of 1000 Spreads. 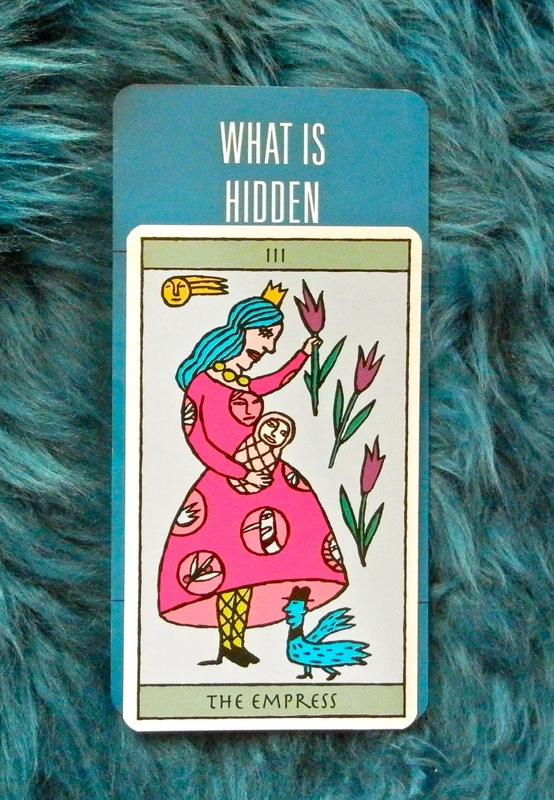 With the Empress card in this position, surely someone is going to find out they're pregnant this weekend. But beyond that possibility, the Empress is also giving her little top-hatted duck man (that she usually keeps safe beneath her skirt) some space and time to develop on his own. So if the bun in your oven is something other than a human (or duck)—perhaps it's a project you're working on, your self development goals or something else you're anxious to see come into fruition—just give it its space this weekend and be ok with it coming about in its own time. The Empress is wise in three ways. She knows when to nurture. She knows when to let go. And she knows that everything comes about in its own time.